European Space Agency, ESA, reported two more unsuccesful attempts to communicate with the stranded Phobos-Grunt spacecraft on December 9, 2011. According to previous plans, these were very last European efforts to salvage the Russian mission. Roskosmos announced the formation of an Interagency commission to analyze the incident during the insertion of the Phobos-Grunt spacecraft into the escape trajectory on November 9, 2011. The current Science and Technical Council Chairman of the State corporation Rostekhnologii Yuri Koptev was appointed to chair the investigative commission, the agency said. Koptev led the Russian space agency, then called Rosaviakosmos, during the most difficult period of the post-Soviet economic turmoil. 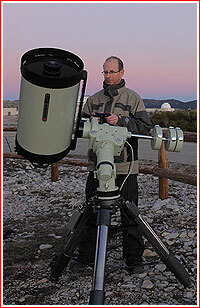 He is also a veteran of NPO Lavochkin, Russia's only developer of planetary spacecraft, including Phobos-Grunt. Roskosmos and Ministry of Defense also formed a joint operational group tasked to monitor the reentry of the Phobos-Grunt spacecraft. The announcement about the creation of this task force essentially confirmed that the agency had exhausted all hopes for establishing control over the mission and the uncontrolled reentry of the spacecraft had now been inevitable. According to the agency, the industry specialists had necessary orbital parameters of the spacecraft and continued tracking its position. As of December 10, Phobos-Grunt was circling the Earth in a 287 by 202-kilometer orbit with an inclination 51.41 degrees toward the Equator, which took 89.39 minutes to make a single revolution around the planet, Roskosmos said. Russian journalists had another chance to talk to Viktor Khartov, the head of NPO Lavochkin, which developed Phobos-Grunt, during a conference at Space Research Institute in Moscow. Khartov confirmed that efforts to contact the striken spacecraft had been conducted daily and would continue until its reentry, then predicted around Jan. 9, 2012. 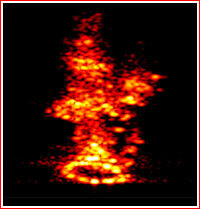 The European ground stations in Canary Islands also attempted to communicate with Phobos-Grunt. 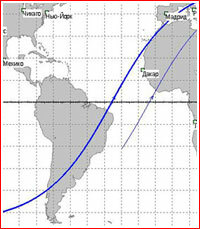 As 2011 was drawing to a close, Russian experts made their final forecast for the reentry of the Phobos-Grunt spacecraft. According to calculations, the probe would lose its orbital velocity and plunge into the Earth atmosphere within 24 hours after its orbit had decayed to an average altitude of 150 kilometers. Estimates based on the spacecraft's 826th orbit showed it would reenter on January 15, 2012, around 23:07:08 Moscow Decree Time, while flying over Northern Pacific between Russia and North America. Unless some unlikely last-minute development intervenes, the stricken Phobos-Grunt spacecraft will most likely plunge into the Earth atmosphere at the end of the next weekend (Jan. 15, 2012). The fiery reentry would end Russia's bid to jump-start its planetary exploration program after a 15-year hiatus. 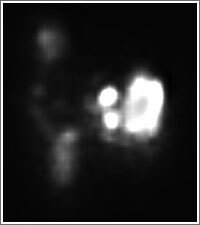 On Jan. 7, 2012, Roskosmos reported that the stranded spacecraft had been orbiting the Earth in a 229.4 by 189.2-kilometer orbit. The agency did not release any details on efforts to re-establish control over the spacecraft, however industry sources did hint that such work had still been ongoing. There were some speculations that as the probe's orbital altitude had been decaying, the growing pressure of rarified air could change the attitude of the spacecraft in such a way that communications with ground control could be reestablished. However even under this very unlikely scenario, ground controllers would have critically little time to command the spacecraft to boost its orbit. According to the latest official predictions from Roskosmos, Phobos-Grunt would reenter the Earth atmosphere between January 10 and 21 with a "central point" around January 15, 2012. Several independent observers made similar predictions. In an interview to the Izvestiya daily published on January 9, the head of the Russian space agency, Vladimir Popovkin finally admitted a number of critical flaws in the organization and design of the Phobos-Grunt mission, about which observers had warned all along and which the agency had vehemently denied in the past and attempted to punish the few journalists who had exposed these problems. At the same time, Popovkin defended the fateful decision to launch the spacecraft, portraying the current leadership of the agency as a hostage of bad decisions in the past. "Phobos-Grunt was developed and built under conditions of limited funding, which predetermined risky technical decisions and made the whole mission problematic," Popovkin said, "We became hostages of these decisions, since we had been bound by agreements with the European Space Agency (ESA), whose instruments were onboard, and with Chinese colleagues, whose satellite we had committed to carry to Mars. In addition, the spacecraft was under construction for a very long time and warranties and operational lifetimes of many components were approaching their limits. If we missed the 2011 launch window for the flight to Mars, we simply had to throw away the spacecraft and write off five billion rubles of investments (into the project)." It should be noted that numerous officials involved in the Phobos-Grunt project contradict Popovkin's statements about lack of funding for the project, at least in the past several years. Also, the most problematic part of the project and a likely culprit in its ultimate demise -- the flight control system, BKU -- was a result of engineering and management incompetence rather than funding. Finally, it is unlikely that agreements with ESA would prevent the delay of the mission from 2011, if the real status of the project was honestly communicated to international partners. Numerous international participants in the project repeatedly said that Russian space officials had assured them in the readiness of the spacecraft for launch in 2011. It is also obvious that replacing some out-of-warranty components would have been a much better decision than launching a doomed mission. Yet, Popovkin went even further and repeated a really bizarre accusation which had been previously made by at least one high-ranking Russian military officer about the possible sabotage of the Phobos-Grunt mission by foreign powers, hence by the United States. "Today there is no clarity, why the propulsion unit onboard Phobos-Grunt failed to start, Popovkin told Izvestiya, "It is also unclear, why our satellites often have failures at the time when they fly out of range (of Russian ground control) where we don't see the vehicle and do not receive telemetry from it. There is no wish to accuse anybody, but today there are very powerful means of influence on spacecraft and the possibility of their use can not be excluded." 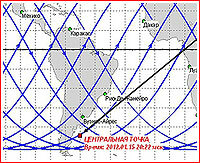 By Jan. 11, 2012, Phobos-Grunt was reported in a 204.2 by 170.6-kilometer orbit with its reentry predicted on January 15, at 13:18 Moscow Time in the Indian Ocean, Roskosmos announced. In the meantime, the results of the investigative commission work into the Phobos-Grunt failure were promised to be delivered to the head of the Russian space agency on January 26, the official RIA Novosti news agency reported. By Jan. 14, Russian space agency shifted the expected impact area for the debris from Phobos-Grunt reentry to the Southern Pacific, off the coast of Chile. 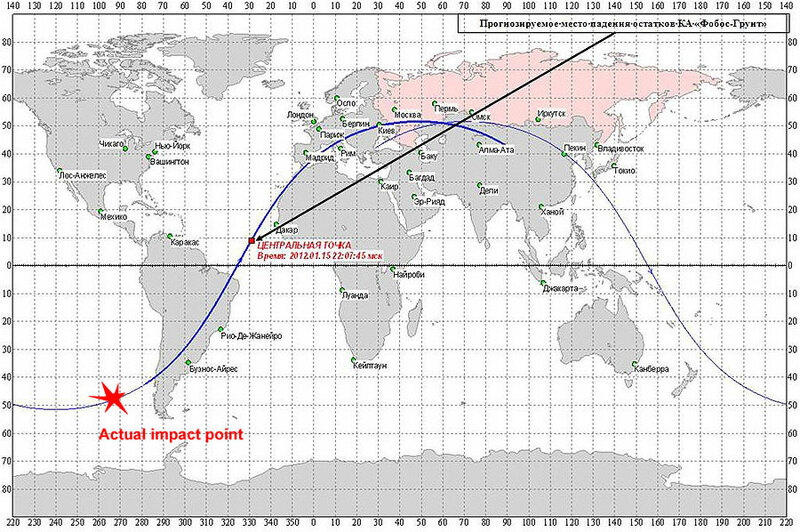 The spacecraft was now expected to crash around 21:51 Moscow Time on Jan. 15. The impact area shifted half way around the world in the past three days, however with the perigee (lowest point) of the probe's orbit located around 46 degrees South latitude, forecasters narrowed down the reentry and impact area for Phobos-Grunt somewhere over South America. By the end of the day Roskosmos issued another statement predicting the time of the Phobos-Grunt impact during an interval from January 15, at 18:36 Moscow Time to Jan. 16, at 02:24 Moscow Time (9:36 a.m. to 5:24 p.m. EST Sunday). Soon after mid-day Moscow Time on January 15, Roskosmos posted a communique narrowing down Phobos-Grunt's crash time to an interval from January 15, at 20:41 Moscow Time to Jan. 16, at 01:05 Moscow Time (11:41 a.m. to 4:05 p.m. EST Sunday). Yet another update published around 19:00 Moscow Time (10 a.m. EST) narrowed the impact time to a period between 21:30 and 23:12 Moscow Time (12:30 p.m. - 3:12 p.m. EST). Around 21:00 Moscow Time (12:00 p.m. EST), based on calculations of a ballistic team at NII-4 research institute, Roskosmos predicted the impact between 21:50 and 22:34 Moscow Time (12:50 - 1:34 p.m. EST). 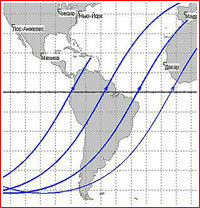 The splashdown point shifted to central Atlantic between coast of South America and Africa. 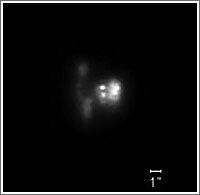 A ballistic calculation group at NII-4 research institute predicted, the focus time of impact at 22:08 Moscow Time (1:08 p.m. EST). 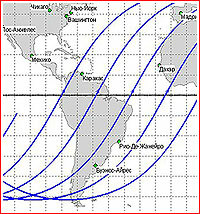 According to Roskosmos, during its last orbit spacecraft would be tracked by Russian ground control assets. In an interview to Rossiya 24 TV Channel, the head of NPO Lavochkin Viktor Khartov estimated that the reentry capsule and a 35-kilogram heat-resistant fragment of a propulsion system would be only parts of the spacecraft that had a chance to overfly central Atlantic and reach Apennine Peninsula in Europe. In the meantime, Western sources, quoting US strategic command said that Phobos-Grunt had crashed into the Pacific, before it could reach South America and cross into the Atlantic. According to a report by the Interfax news agency datelined 21:53 Moscow Time and quoting a representative of the Russian space forces Aleksei Zolotukhin remnants of the Phobos-Grunt spacecraft crashed in the Pacific at 21:45 Moscow Time (12:45 EST). Another official Russian news agency, - RIA Novosti -- reported that debris had fallen 1,250 kilometers west of Wellington Island in the Pacific, off the coast of Chile. 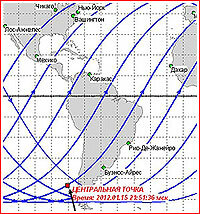 On the afternoon of January 16, (reportedly after a delay blamed on hacking attack, but more likely the agency's web server not being able to handle increased traffic) Russian space agency web site published an official press-release saying that "in accordance with the forecast of Roskosmos, the Phobos-Grunt spacecraft ceased to exist on January 15, 2012." According to the agency, the fallout of the probe's debris took place within a predicted time window during the last 1,097th tracked orbit of the spacecraft over the Pacific, South America and Atlantic. A listing of such extended geographical area clearly indicated some uncertainty over the exact area of impact of the probe's debris, as a result of discrepancies between predictions and factual information the day before. The press-release then went on to say that data from Chief Center for Reconnaissance of Space Situation at Air and Space Defense Forces had shown that the spacecraft had impacted in the Pacific at 21:45 Moscow Time and that this information had matched the data of Roskosmos. Finally, the agency said that in there had been no any means of visual control or other tracking assets in the area of the spacecraft impact. 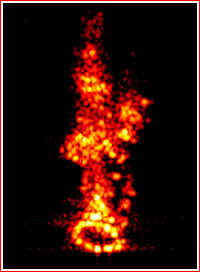 At the same time, available data from space monitoring indicated the absence of the vehicle in orbit, Roskosmos said. 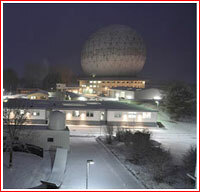 In the meantime, the Kommersant newspaper quoted unnamed sources within the Phobos-Grunt failure investigative commission as saying that the operation of a US radar facility on Kwajalein Atoll in the Southern Pacific had been considered as a possible culprit in the Phobos-Grunt failure. Russian officials reportedly thought that powerful signals from the US radar could've damaged sensitive electronics onboard the probe by accident, thus ruling out sabotage. Although, in theory, powerful electromagnetic radiation can damage electronic components, a great distance and vastness of space makes such hypothesis extremely unlikely, especially for the spacecraft designed to travel through interplanetary space and withstand radiation-prone environment. In addition, other satellites would likely be affected too. The fact that the hypothesis was allowed to leak into the press and the long history of Russian investigators blaming external factors, such as "space junk," "meteoroids" and "foreign particles" in order to deflect blame from internal technical problems, gives little credence to the story. According to Kommersant, preliminary results of the investigative commission work will be presented to the head of the Russian space agency, Vladimir Popovkin on Jan. 20 and will be made public six days later. On Jan. 30, 2012, Popovkin was to report on the results of the investigation to the Vice Prime Minister Dmitry Rogozin, Kommersant said. First proposed in the 1970s, the Phobos-Grunt project was delayed for years by post-Soviet economic problems, brain drain and downsizing of the nation's scientific institutions. Even after the funding for Phobos-Grunt had improved in the second half of the 2000s, the project was plagued by mismanagement, unnecessary political pressure and serious technical problems. When this complex spacecraft with all its numerous unflown systems finally reached a launch pad, many insiders still considered its chances for achieving its main goal - returning soil from Phobos - close to nil. Yet, despite all its risks, Phobos-Grunt marks a historic return of the Russian space science to the exploration of the Solar System and the renewal of a century-old dream by the nation's space pioneers to reach the Red Planet. Even entering the Martian orbit, let alone a rendezvous and touchdown on Phobos, would be a colossal step forward for Russian astronautics. Equipped with an array of scientific instruments from all over the world, Phobos-Grunt promises a rich scientific harvest from its sensors designed to gather and transmit data from the vicinity of Mars or from the surface of Phobos. Obviously, the return of a piece of the Martian moon, possibly containing geological samples from Mars itself delivered there by violent impacts in the planet's distant past, would be the ultimate prize for the world of planetary science. No matter the outcome, as Russia's first deep-space mission developed entirely in the post-Soviet period, Phobos-Grunt would pave the way to a new generation of robotic explorers heading to the Moon, Venus, Mars and other destinations in the Solar System. 00:16:02.871: The factual liftoff time, as confirmed after launch. 00:27: The separation of the spacecraft from the second stage. 01:48 - 01:54: NPO Lavochkin receives telemetry from Phobos-Grunt. 02:05: A command center of the SKKP network determines orbital parameters for the Phobos-Grunt and its upper stage. 03:20 - 03:35: Phobos-Grunt flies within range of Russian ground control stations, but no data comes from the probe. 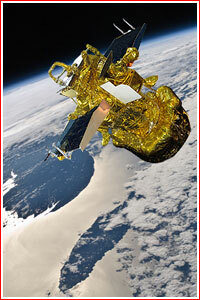 03:45 - 03:50: A command center of the SKKP network confirms that the spacecraft remains in its original orbit. A window for departure to Mars closes. 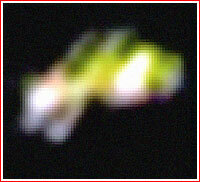 A second stage of the Zenit rocket, which delivered Phobos-Grunt into orbit, reenters over Australia. 20:25 GMT: A ground station in Australia establishes contact with Phobos-Grunt. A ground station in Australia receives first telemetry from Phobos-Grunt. All systems onboard Phobos-Grunt fail as onboard power supply system was drained. Two small objects drift away from Phobos-Grunt and reenter by December 2. ESA announces the end of attempts to contact Phobos-Grunt. The official results of the investigative commission work into the Phobos-Grunt failure delivered to the head of the Russian space agency. An official map of the Phobos-Grunt reentry released by Roskosmos on Jan. 11, 2012. An official map of the Phobos-Grunt reentry released by Roskosmos on Jan. 13, 2012. An official map of the Phobos-Grunt reentry released by Roskosmos on Jan. 14, 2012. By the end of the day on January 14, Roskosmos released a map showing last five-six orbits of the Phobos-Grunt mission, during which reentry and the impact of the spacecraft was expected. It was narrowed to three and a half orbits by mid-day on January 15. 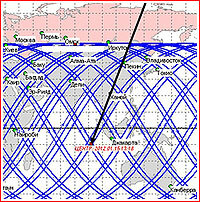 An official map of the Phobos-Grunt reentry released by Roskosmos by 19:00 Moscow Time on Jan. 15, 2012.